College, in itself, is a tumultuous period of self-discovery. Especially for students in a sleep-away institution, like many U.S. colleges are. We learn so much about ourselves emotionally, socially and intellectually. The close quarters we are put in with peers forces the self to tirelessly practice an empathy for others that may not have been necessary before this time. 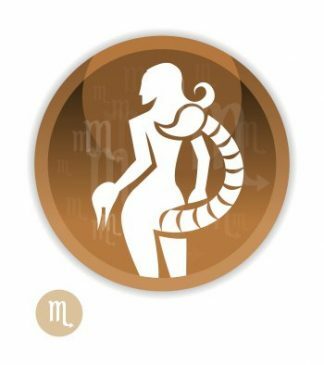 In this atmosphere, scorpio season is one of difficult, cyclical self-reflection. When love is found here, it is wet and, at times, suffocating. It’s what Akua Naru’s song sounds like: melting into more than just another person’s body, but “making love to their existence.” Just remember, you have class in the morning. In this hotbed of ideas we are constantly revisiting our own identities compared to the presentations of others. When Slothrust says, “My stomach hurts. Does your stomach hurt? Do our stomachs hurt together?” they are exploring this concept of what it means to be a person whose growth is so closely related to the growth of friends. Listen when you’re feeling overwhelmed by socializing. Frustrations are bound to arise in this tumultuous period. Sometimes where you are going in your renewal is not where everyone else is. The peer pressure to do everything everyone else is doing is a little too much sometimes. It can feel you couldn’t possibly be in control of your body. Frankie Cosmos’ soft lulling voice juxtaposed to the content of her song embodies all the soft-spoken signs in this season surprised by the expanse of their motives and desires. Souls are “big and surprisingly dark,” as Cosmos says, and it’s important that we visit those places in ourselves every once in awhile, if only to acquaint ourselves with ourselves. Check the Catalyst’s Spotify playlist, found on our website, for the complete scorpio season playlist.